The Bar Collection is Leopold Vienna's own unique design! 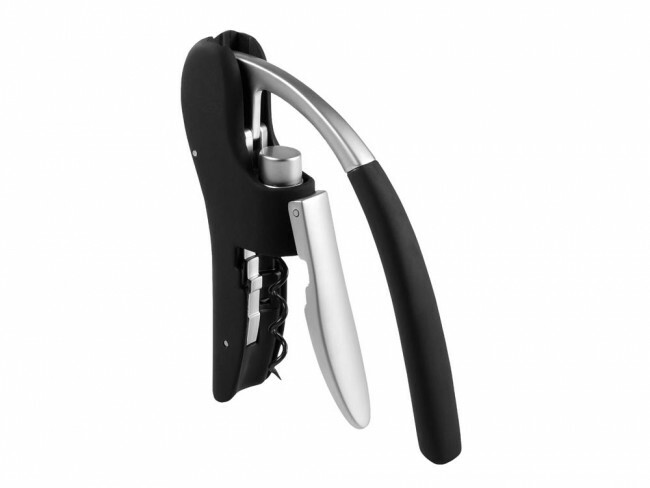 This modern design cork screw with its clever lever uncorks wine bottles in the blink of an eye. Crafted in plastic with matt stainless steel. This bottle opener opens champagne bottles in the blink of an eye! Remove the cover and iron wire from the cork. Place the champagne bottle opener on the cork and press downwards. Done! Let's pour a glass! For the effortless and quick uncorking of bottles. With spare spiral.